The Business to Community blog (Twitter @b2community) published a post about What Your Customers Expect from Social Media that prompted me to comment and that comment turned into this post. The major benefit to consumers when companies have a presence in social media is that they do not have to find or figure out how to use the method that company provides to get a quick answer. Once someone knows how to ask a question on Twitter, Facebook or LinkedIn (and yes, IMHO, THOSE are the three most important social networks) they can find out what they want to know right away. Companies need to understand that you may believe your process works wonderfully – and it probably does – FOR YOU – but many of your potential buyers do not have the aptitude or desire – nor do they want to invest their precious time – in figuring out how to interact with you. Only those who are highly motivated and/or Internet savvy will reach out to you YOUR WAY. fast, EASY way will get the bulk of the business. The number one reason someone fails to buy from you or complete a purchase or abandons a shopping cart is that they have an unanswered question. People have been conditioned all their lives to not want to make mistakes so as long as that question hangs over them they will not take action. A quick answer means another sale. Whether you can “track” that sale back to social media or not is irrelevant. A sale is a sale. Think long term and wider instead of focusing on only what you can measure. It is a great extra service that can put you above the competition in some niches. But if you use social media in this way then it will be very timeconsuming unless you can hire someone to do the answering. My time is too valuable to spend on twitter all day. There so many business owners out there who are still not using the advantage of social media. It’s a very powerful tool now a days since almost everyone is using online shopping and browsing for new products. “The key is not just setting up a Twitter, Facebook or LinkedIn account but actually making use of it. There is no point setting it up if it isn’t going to be utilised. If set up and used to their fall potential they can be very effective business tools.” This is perhaps the best comment I’ve ever read on the subject of social media and online marketing. What do you think about YouTube as an web marketing tool? Any thoughts? The key is not just setting up a Twitter, Facebook or LinkedIn account but actually making use of it. There is no point setting it up if it isn’t going to be utilised. If set up and used to their fall potential they can be very effective business tools. You are definitely correct. Trying to find a way to balance all the online tasks required for success is a real challenge. Businesses are going to need assistance figuring out how to make social networking work for them. The major obstacle is commitment. They have to be willing to either do it themselves or hire someone to do it for them. Some can be delegated but in some cases the business owner or manager needs to handle some things themselves. Our company also understand the importance of social media in how we do business online. LinkedIn is definately in the top three and gaining traction quickly – I think now that FB is so big, like minded and B2B are using LinkedIn as a more professional way to keep in the loop. For B2B and professional connections LinkedIn is definitely superior. Personally I much prefer Twitter for contacting people you do not already know. LinkedIn works well for sharing resume-type information and interacting in niche groups related to your business. I’m probably a little biased here because I’ve neglected my LinkedIn account, but I would rank YouTube up there with Facebook and Twitter. In fact, it’s the source I go to often for my more technical purchases. There’s something about seeing the product in action that gives you a much better sense of it. Testimonials work best in video format too. You get so much more non-verbal (or written) information to process that it’s easier to develop the trust a customer needs to feel to finish that check out. You are absolutely correct. YouTube is a major force. If I were more visual I would have thought to include it in this post. I believe people like me who prefer the written word and social media will partner with those who love making videos to get the best of all three. This is becoming true so quickly. I watch some businesses who don’t use social media in any way – and they’re suffering. Sale wise. Money wise. Growth wise. If only they would get up, and start working harder in that arena – and they’d find explosive growth. You are right, but we are going to have to take the information to them – at least at first – and then when some businesses see success they can spread the word and get others on board. Businesses that do not even use email are at a particular disadvantage, but many who actually use the Internet still haven’t seen the light on how essential it is for them to get their business information online. I just published a post today with more information that I hope will assist small businesses to better understand how important this is to their very survival. I think it’s important for a company to have a more personal approach to social media. That is, put human faces to the forefront instead of just communicating faceless and cold business updates. Make it so that all communications and customer support come in a personable manner. I think more businesses need to be using social media. I have had some very good customer service experiences on Twitter with T-Mobile but yesterday I had an issue with another high profile business and was dismayed to find they had no social media presence at all. Business requires credit too, if we want to sale our products as per our conditions and make our consumers satisfied of our products, we should have a very good contacts with our buyers and social media serves very good in this context, not just that we can even advertise our products in a better way and to large mass of audience if we use social media. I think most of Social Media services for business are paid. I am talking especially about facebook. Sale is only possible when fast communication is held between the business parties. Both parties get satisfaction by getting answers of their questions. I agree business should use social media, so the customers know right away the answer to their questions, and they can also leave their comments about the products. Another benefit to businesses using social media is the SEO aspect. Google is now including social media signals such as links in Twitter and Facebook when deciding where to ranke a page in Google. This is going to become increasingly more important, I believe, because it is harder to spam, although spammers always seem to find a way around this. I have worked with companies trying to adopt social media and it is amazing how wrong they get it and fail to understand the concept of it, most just see it as a thing they “HAVE” to do because everyone’s doing it. As we all notice, the number of people who engaged themselves in the use of social media started to increase from time to time. So the strategy of business to reach out with their market online is a must and can definitely result to a much better benefit on their side. Business boots only when you have good interaction with your customers. You clear the doubts of your customers and get good business. It’s also good to have social network profiles so people can easily follow what you are doing, not only direct messaging where you can simply drop an email instead. Wouldn’t it be more social and easier for people to get answers using the telephone? IMHO there is nothing more effective than having a great customer service dedicated phone line and making this the most prominent method of contact before promoting Twitter… or maybe I’m just showing my age? What would you say about a company that provides hosting or services that don’t have high social buzz? I work at a company that provides expensive hosting solutions (exchange, sharepoint, etc) that caters towards mostly to businesses/organizations. Our current customers can reach us easily via phone or email, and most of them don’t even use FB or Twitter. I’m mainly looking for ways to attract traffic and new clients via social media. But I’m not sure if it’s possible in this field because I feel like none of them use social media. One thing’s for sure: It’s not going to disappear. Rather, it’s going to grow, develop, morph into who-knows-what. Look at it this way: Better to start now, while social media’s realm is still relatively easy to grasp. As always, you have written another excellent article Gail! I believe Social media marketing is with social media monitoring – tracking up your social media activities for sales or whatever. Anyway, I’m finding ways for attracting targeted social media users, do have some tips for that? Usually customer support and the feeling that a fast answer to your question gives you, is trust and trust can make your sales increase while also keep the customers returning. Now there are so many ways of interacting online and making a first contact with your customers that it’s easy for every company to setup a system for fast customer support. Excellent article as expected. As a small business owner I can tell you that integrating social media into every aspect of our businesses has been nothing short of awesome. I can probably write a post about the various things that social media has done for my small businesses and my personal brand over the last 2 years. I couldn’t imagine doing business without it. When you write that post be sure to let me know so I can share it and link to it! Have you seen my comprehensive Small Business Internet Marketing Priorities post? I’ll put it in CommentLuv in this reply. While I do agree that social media sites like Twitter and FB can, potentially, play a crucial role in customer service issues, I’m not quite most people are technically-/internet-savvy enough yet to be able to take full advantage of this. Things are, of course, heading in that direction, but we still have a ways to go before the average person opts to tweet their question rather than pick up the phone and dial a company’s customer support number. Social media is forcing a paradigm shift on corporations that traditionally make it hard to get a fast answer. So many hide their 800 numbers that there are actually many sites just to find a toll-free number! While many are not yet using Twitter, those who do already know how to Tweet a quick question – and that is where a business can use Twitter to their advantage. It is far more likely their customer or potential buyer can figure out how to Tweet at them than it is that they’ll figure out where they put their contact or support form. You mention of support number brings up another point. Why pay by the minute for phone costs plus salaries for employees when a quick tweet can save you that expense? Could not agree with you more. My only point was that I don’t think a lot of people are ‘there’ yet. But, of course, for those customers who do use social media, having a solid social media platform is invaluable for a business. Social Media is nowadays the best way to interact with potential customers. You can identify easily their wants and needs. Customer service is play big role in any company’s business .If customer will fully satisfied then it’s natural company’s product sale will increase day by day beside that social media option is good and very easy step to connect with company and customer can rectify any of query as well get knowledge of any new product . 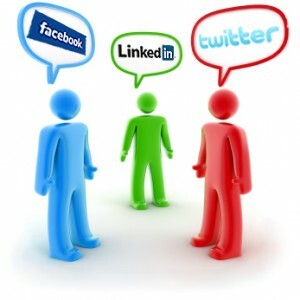 In my opinion for a online company nowadays is simply a must to use various social media services. Basically this a fantastic way for interacting with potential customers and also to increase considerably the level of traffic. Many companies and businesses are now taking advantage of social media to engage consumers and provide customer service to them. Where else can you track real-time comments, suggestions and queries from customers? I agree that is a good idea to monitor social media channels to see if people have questions or complaints about your product or service and quickly respond. I think one of the best ways to monitor online mentions is to set up a Google alert for your brand and set it to “as it happens”. Absolutely right! The worst are the sites with no social presence and a complicated contact form, such as the ones that put you through their “support” system. I don’t want to create a ticket – I want to ask a quick question and make an easy purchase. I don’t believe businesses quite understand the whole concept of “I just want a quick answer” yet. It is as though they just think “consumers” should just want to buy whatever they’re selling without knowing if it will do what we need or not. Ironically, since the answers to quick questions are unlikely to be tracked to sales many companies will not realize how important it is. This is the same concept as my recommending a site add live chat to boost sales. Even some otherwise savvy business owners dismiss the importance of a buyer getting the answer they need at the moment they have their credit card out. Answer their question in real time and you get the sale. Be unavailable and you don’t. It is just that simple. If we stay up-to-date and are giving the best customer service, we will be ahead of the pack and quickly our business will get known. Interaction on social media has certainly helped me and my small niche blog get noticed and in turn readers become customers 🙂 Making it easier for customers is always a plus too. Hi Gail. This is very true! I’ve reached out to several businesses on Twitter and most of the time I get results. For example, last year I had an issue with my Verizon DSL and I found it much easier to catch their attention on Twitter than to go on their website or call them and wade through a bunch of menus. I got my issue resolved and ended up adding additional services to my package. I agree with you both. I would much rather ask a question on Twitter and look for the answer later than sit on hold or go through what – when it first became common – we used to refer to as “voicemail hell”. I tweet at my cell phone company and get answers that I probably would not get from a customer service rep and connect with media-savvy reps of companies I want to interview or write about that would be difficult to find by phone or email. There will be those who “get” social media and those who ignore it, but only those who use it will have the benefit of being promoted by legions of bloggers and social media users as non-users drop from our radar. That article Donna Anderson did on the Cornell University Yahoo Research study that talks about what they labeled “elite Twitter users” missed one key point. What they called “ordinary” Twitter users are anything but – they are up-and-coming influencers by the tens of thousands. Social Media site are used to promote business companies profiles and other day to day activities over online and it is a very good form to activity touch with customers or clients and others.